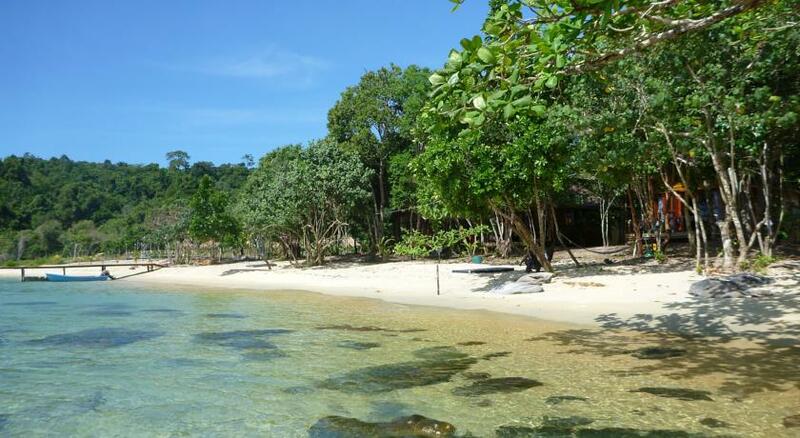 Koh Rong Samloem is beautiful, but why not discover an other of the best Cambodian Island called Koh Kong?! This a travel guide updated to 2018! Secretly nested on the shore of a Cambodian exotic island, in the Gulf of Thailand, Koh Kong Island is a jewel of unique beauty, remotely set, and eco-friendly oriented. Koh Kong Island is considered one of the best beaches in South East Asia. Prior to our arrival, a wild tropical jungle surrounded this ½ mile stretch of sand, and we sought to blend ourselves in rather than destroying it for many reasons. One is to respect the environment that surrounds us, the other is to keep the bungalows under the natural coolness of the trees. Koh Kong Island is just 6×22 km square and the only popolation on the island is fishermen village. The island is south of Koh Kong City, and the South-Eastern tip of Thailand. Is a good place to relax around beaches and jungle!So you can sure do some snorkeling or trekking into the jungle. You can reach the island by boat from the mainland in 40 – 120 minutes. So the life here is wild given by jungle, mangroves, waterfalls. Koh Kong White Sand Beach Resort is located in Phumi Kaoh Kong just 10 metres away from Koh Kong Island Beach. Guests can sample authentic Cambodian cuisines at the in-house restaurant. Free Wi-Fi access is available at all areas. Bungalows are simply furnished, clean and comfortable. 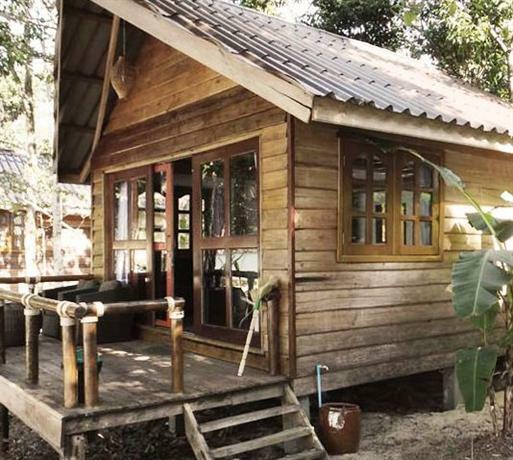 Each bungalow is cooled with a fan and fitted with clean linen sheets. Bathroom facilities are either shared or en suite and include free toiletries. Some bungalows offer sea views. The friendly staff at Koh Kong White Sand Beach Resort can arrange for various activities including snorkeling and fishing. There is also a 24-hour front desk and laundry services. Situated close to the beach, Koh Kong Island beach II houses a restaurant and provides basic yet comfy accommodation with private bathroom facility. Barbecue facilities are available, while fishing and snorkelling activities can be arranged. Offering sea and garden views, rooms come with a fan, mosquito net and clean linens. Rooms include an attached bathroom with shower facility, towels and free toiletries. 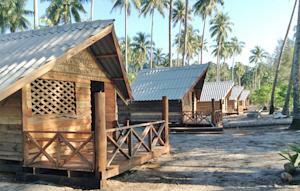 At Koh Kong Island beach II, guests can converse in Thai or English. Luggage storage facility, laundry service and shuttle arrangements are available upon request. Room service is also possible.